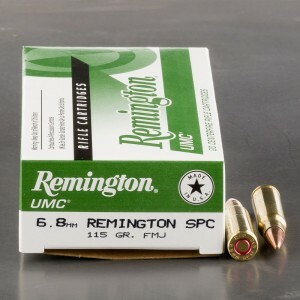 6.8 SPC ammo is a relatively new cartridge developed in the early 2000s by a Remington and military collaboration as a mid-way round between the 5.56 x 45 NATO round (.223) and the 7.62 x 51 NATO round (.308). 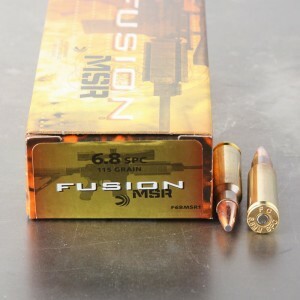 Specifically, the collaboration was looking to field a round with improved terminal ballistics using a ballistically efficient bullet (the range from 6.5 mm to 7 mm in bullet diameter seems to be the optimum ballistically) while functioning well in light, short-barreled AR/M platforms. 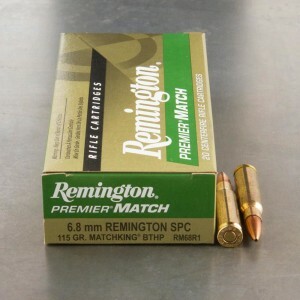 The round goes by several monikers including the 6.8 Special Purpose Cartridge (6.8 SPC), the 6.8 SPC II, and the 6.8 x 43. 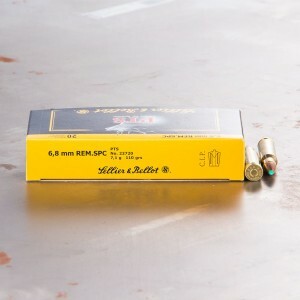 Its development began using the proven .30 Remington case and it uses the same bullet diameter as the incomparable .270 Winchester cartridge - a proven performer. The designers, specifically looking at a military / law enforcement clientele, did not want users to lose magazine capacity nor increase recoil to unacceptable levels and reduce follow-up shot accuracy. 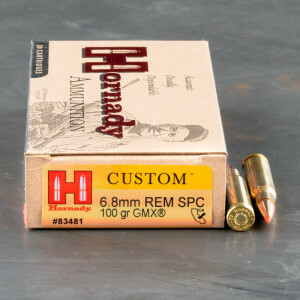 Owners of AR/M platforms can easily change calibers enabling versatility in preparing for various military, law enforcement, hunting, or target situations. 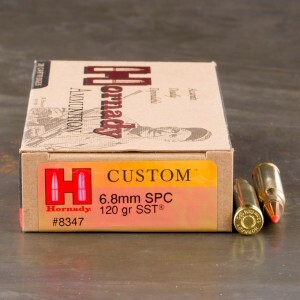 The cartridge is a great hunting offering capable of taking deer-sized and under game. 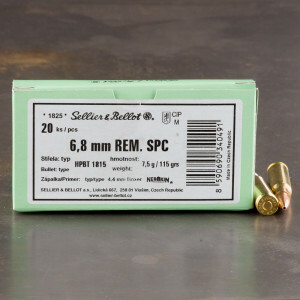 There are at least six different chambering variants of the 6.8 SPC, all of which yield similar but somewhat different performance; the SPC II is the most prevalent, and the one currently used by most barrel manufacturers.